Bringing humour and emotional buy-in to a story in equal measure takes a real gift, which Kerry Fisher has in bucket loads. 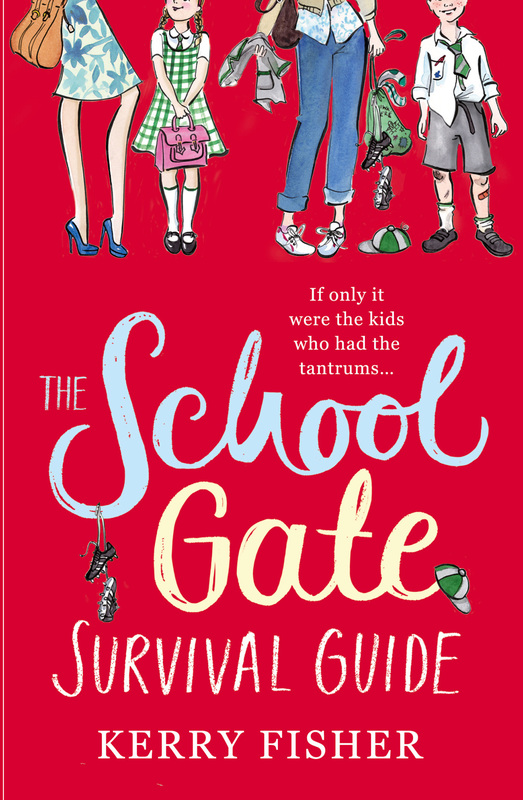 We’ve been featuring her debut novel ‘The School Gate Survival Guide’on our Goodreads Book Club for the last month and have discussed everything from fellow parents who are at least 50% Botox, to going back to feeling like the new kid in the playground all over again. The novel itself tells the story of Maia Etxeleku, a character whose down to earth intelligence and humour shines out from the first page. Maia works hard, in a cleaning job, to keep her family afloat, whilst her partner, Colin, could earn a part in Shameless and does very little at all – apart from blaming Maia for their problems. Life starts to change in a way that Maia could never imagine when her favourite client, a professor, dies and leaves her a legacy that leads all the way to the school gates. Despite her surprise at the inheritance, and the stipulation that the money can only be spent on private education for her children, Maia carries out the old lady’s wishes. Maia soon discovers that appearances at the school gate, as everywhere in life, can be deceptive. Meanwhile, life at home becomes increasingly tense as she battles to fit in to a world where money spent on education is just the tip of the iceberg. Throw into the mix Zachary Peters, a teacher at the school who is everything that Colin isn’t, a very unhappy teenager and secrets that have been buried for a generation, and you have all the ingredients for a cracking good read. If this has convinced you to read Kerry’s book, you can access it here. Kerry will also be a featured author in The Write Romantics’ anthology ‘Winter Tales’, due for release on 8th November. Our next featured novel on the blog and for the Goodreads book club will be chosen by Lynne, who will be leading the discussions over there, as well as posting a review on the blog at the end of November. 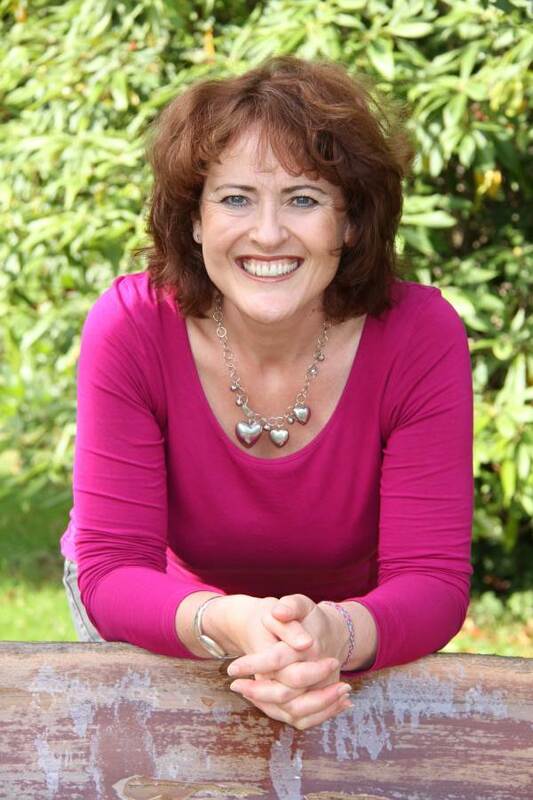 Today the Write Romantics are delighted to welcome Maggie Reid, as our guest blogger. 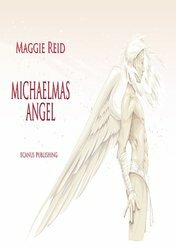 Maggie is the author of novels in a range of genres and across both self-published and traditionally published platforms. Take it away, Maggie! My writing journey has been turbulent to say the least! I began by taking the traditional route in the sense I bought a “Writer’s and Artists” Yearbook and sent the first three chapters of my books out to literary agents. I got disheartened by those agents who, to this day, have never replied, or even sent a standard form rejection letter. I found rejection difficult to take at first. The books, after all, are an extension of the writer’s thoughts, feelings and ideals; so to be rejected when you feel the work is to a high standard was challenging and in the early days shattered my self- esteem. However, I soon had faith in my own ability and decided that an agent was not necessary for me. What was important was getting the Maggie Reid name out there and having an audience to read my work. As a result, I decided to self-publish, which many well respected writers have done, in order to showcase my stories and it was the wisest decision I have ever made. The decision was momentous for me, as I was struggling through a divorce and losing my home, so in a sense I felt I had nothing to lose. I also felt that doors would open if the work could be read globally. After I took this decision and was able to read reviews on amazon for ‘The Quiet Life of Marta G Ziegler’, I felt really heartened. I have wonderful readers from all over the world and I think it is so important to thank the audience who supported me when no literary agents believed in me. 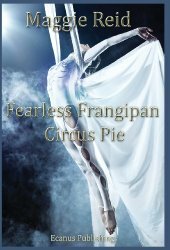 I write in different styles and both the ‘Fearless Frangipan Circus Pie’ and ‘Michaelmas Angel’ are literary fiction and challenging reads. They contain powerful characters and plot, and love endures through adversity. ‘The Quiet Life of Marta G Ziegler’ and ‘The Sinister World of Zac Spyro’ are for the children’s/adult crossover market. Marta Ziegler has a huge adult audience because, I believe, the novel is a timeless story about following your dreams whatever age you are. I try not to worry about my ‘market’, but rather focus on the strength of the story. I think it is good not to be categorised as a writer and be free to explore different styles. I like to produce exciting and individual stand-alone pieces of work, instead of following a pattern. Nonetheless, I felt it was important for me to showcase my work as an emerging writer through self-publishing and regaining control. If you have a great story to tell, self publish and build a readership. Indie writers are exciting and powerful voices in the industry at the moment and it is all about what is right for the individual writer. ‘The Quiet Life of Marta G Ziegler’ was rejected several times by traditional publishers for having a profoundly deaf heroine, which I think shows lack of insight and vision, and I believe Marta Ziegler has huge potential for screen. For me, my biggest influences for my writing are my children, my family and the chance meetings with people who say a few words to you about their lives that can spark a story. I find inspiration in the smallest of things, a broken shell on a craggy Scottish beach, a solitary figure in a trilby hat, a mother with a distant look in her eyes. The biggest influence has to be real people, and human emotions that you can see if you really learn to watch and listen. A good writer is an observer and, at the moment, I am working on a new children’s’ book which adults can read too, which I hope will be a powerful, thought provoking read. Hallowe’en and all that Hocus Pocus! 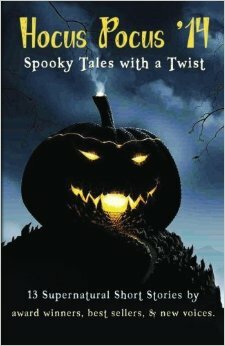 So, Debbie, what gave you the idea to put together an anthology, and why for Hallowe’en in particular? 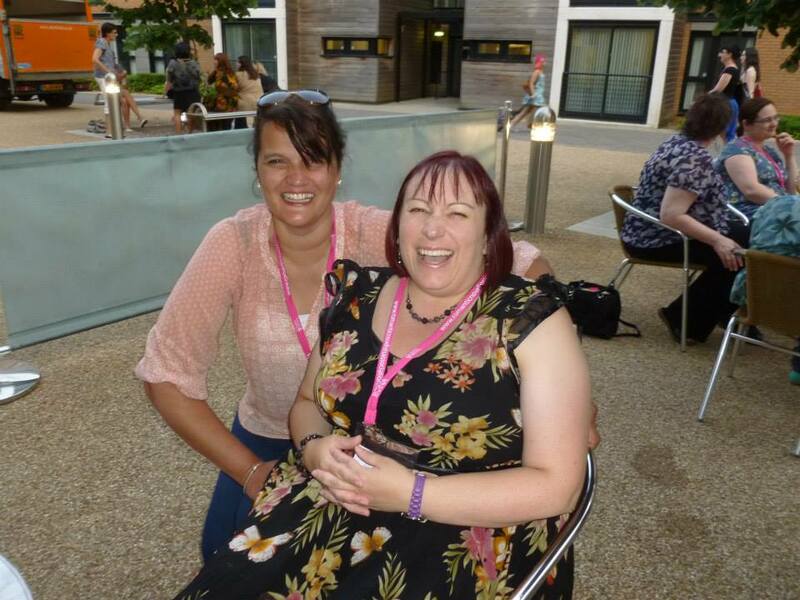 Last year fellow authors Carolyn Mahony, Mary Jane Hallowell and I found ourselves suddenly challenged to run a Facebook online party by ourselves, with a guest visit from published Mills and Boon author Isabelle Goddard – also from our Tuscany writing group. We’d all just self-published our first titles and wanted to raise awareness of our books. The plan was to do it on Hallowe’en since that was the plan we’d inherited, having all agreed to participate but not run it. Then suddenly we were in charge and we had to make it up as we went along, but the feedback was amazing, the sales of our own books lifted slightly, and everyone taking part gave great feedback. It worked! 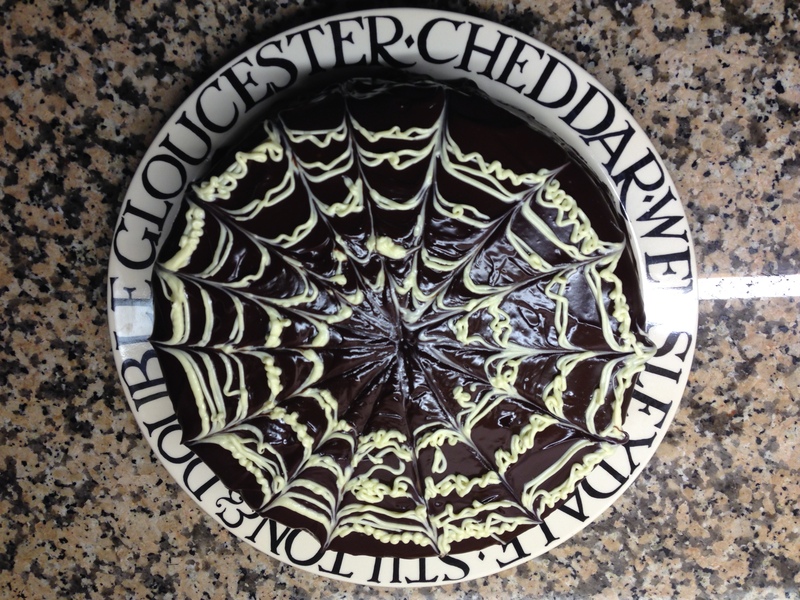 We found it was the most fun, fulfilling day – especially because being Hallowe’en there was a whole host of different options for subjects to post about, making the day really diverse and compelling. We ran it on our specially created event page on Facebook. We had pics of ‘finger food,’ favourite spooky hunks, songs and films, plus real life supernatural experiences to name but a few. We found there weren’t that many others going on on the same day, nor was there much on Amazon if you searched the word ‘Hallowe’en.’ We know that self publishing nowadays is all about discoverability, so the idea for a new event this year was born. How did you select the authors to take part? Initially it was just our little group, and then having mentioned it to a few other authors on other writing groups/retreats, many others stepped up and submitted stories to us for approval. Most would have been a shue-in, as they are award winning or best selling established authors, but we still used the process I rely on to gauge a story’s potential – my beta readers group. Facebook is a magical thing, and two years ago, it put me in touch with around two dozen avid romance readers who regularly review and ‘mark’ the work we submit to them. They’ve been instrumental in helping me bypass those frustrating early stages with a SFD where you think you know what to do but you need validation from true readers. Now ‘Debbie’s Readers’ occasionally take other work to read too and all seem very keen to help and have their opinions counted! Funnily enough my publisher Choc Lit (still sounds funny to hear myself say ‘my publisher’ – I only signed with them in the summer, first book out next Spring!) also use a ‘tasting panel’ for exactly the same reasons. I highly recommend doing so to new authors – and established ones! Anyway, with the help of co-editor Mary Jane Hallowell, one of my best pals and writing buddies, the ‘approved’ stories mounted up and soon we had nearly 13 which I figured would be perfect for this anthology, so I contacted a couple more authors to reach the magical number! By the end of August it was clear we could make it the magical 13, of varying lengths, which Adrienne Vaughan and Lizzie Lamb pointed out would form a meaty paperback, and could they have some copies. So we expanded our plans to include Createspace too, and I got my lovely cover designer in Canada, Angela Oltmann to polish up the design one of our beta reader’s sons had already submitted. The POD covers (print on demand- that’s how they do paperbacks on Amazon via Createspace) which she creates, takes a lot more work than eBook covers ever do, so it was an investment, of around £130 overall. I also used a formatting expert in San Diego, Yvonne Betancourt, to ensure the finished POD interior was right. But if we sell copies outside of the freebie promotion period it’ll hopefully eventually cover it. Plus I will do one next year too, Hocus Pocus ’15, and possibly a Valentine’s anthology of romantic short stories, so ‘Hocus Pocus ’14’ will be part of a series! If anyone is interested in taking part in the next ones just email me debbie@debbieflint.com. 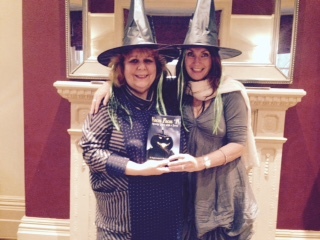 I’m looking forward to reaching a whole new audience via the other authors and via the fab Hallowe’en party on 31st – I do hope you’ll join us! Welcome Lizzie Lamb, Lynda Renham and Tina K Burton. How did you all get involved? Lizzie: One of the New Romantics Press, Adrienne Vaughan, was contacted by Debbie who was looking for contributors and Adrienne put my name forward. I was a bit worried about getting side-tracked from finishing book 3 but already had a spooky story on file so I said yes. I’d written it a few years back for a competition ‘Heaven Can Wait’ run by Writers’ Magazine and (I think) Cally Taylor. She had just published her novel Heaven Can Wait and was running the competition to promote it. I was glad I’d kept the story on file because it only needed a bit of tweaking, et voila. Lynda: I got involved with the anthology when Debbie asked me if I was interested and did I know anyone else who would be. I was unsure at first as short stories aren’t my thing really. I always find my short stories end up as novels and I don’t think Debbie would have been too happy with that! Tina: My friend, Lynda, put me in touch with Debbie, who was putting together the anthology. Debbie asked if I’d like to get involved and, as it happened, I had a story that I thought might be suitable. How did you find writing short stories as opposed to novels? 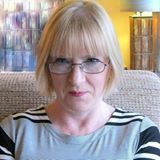 Debbie: I like writing short stories – my first ever was for my QVC blog (I work on the shopping channel as a presenter) and my blog gets around 13000 views a week, so having just returned from the Tuscany writing course – my first ever experience of romance writing – I thought I’d do a 5000 word story for Feb 14th – so The Valentine’s Surprise was born. Three years later, having been inspired into self-publishing by Emily Harvale, I played around with KDP and uploaded it for a three day freebie. Immediately several hundred people downloaded it, and my journey into being a novelist was born. I then finished my WIP, Hawaiian Affair, followed by books two and three in that trilogy of steamy romances, all around 80-90,000 words. I finished a Bridget Jones style tale set in shopping telly at Easter this year, also full length. But my second short story, When Dreams Return, was written with the intention of running a freebie promotion for Mothers’ Day, which I did. However, being set at Hallowe’en I’d always intended that it would be my contribution for the Anthology – we’d been planning it since last October you see. Lizzie: I would rather write a novel than a short story. Why? Because all my short stories read like the start of a novel. It’s a genre I need to work on if I’m ever going to feel more relaxed about writing one. Sue Moorcroft gave me a tip once, which was to think of the short story as an ‘incident’ with a beginning, a middle and an end – rather than a chapter in a novel. After I’d taken that advice on board it was much easier, but I don’t think I’ll ever be a natural short story writer. Lynda: I disciplined myself and wrote my contribution which is titled ‘Clarissa’. I didn’t find writing a short story easy so I very much admire writers who can do it. I have written a few short stories in the past but find them difficult. If I have the choice, give me a novel to write any day. Tina: I wrote and sold short stories before writing novels. I like the challenge of short stories – writing a whole plot and credible characters within a limited number of words. But I also like novels because you have more scope to develop your characters fully. What is your story called and what’s it about? Debbie: It’s called When Dreams Return. Chelle’s hubby Andy disappeared mysteriously and she stopped painting. Her talented artwork is her livelihood, inspired by her elaborate dreams. Finally she decides it’s time to accept his death and move on, by renovating a spooky Victorian House with a secret in the attic. Her pal Sara who lives nearby is married to Andy’s brother but she has secrets of her own. It’s a ghostly tale with humour and pathos, and ended up becoming a short novella, at 14,000 words. I was very pleased that the freebie helped it to get 4.6 avge stars on 29 reviews! Very chuffed! Lizzie: It’s called Jumping the Queue. As I said, I more or less wrote it to order for the competition Heaven Can Wait. That theme decided what I was going to write about. I’ve also written a ‘true’ spooky story for the promo day when the Hocus Pocus event takes place on Facebook – 31st October. It’s called Knock, Knock, Who’s There? And concerns a real life spooky event which happened to me when I was a child. I’ll probably be posting it on my website, too, as part of the promo. Lynda: Clarissa is a car that the main character, Frank, becomes obsessed with. However, the obsesion becomes quite creepy when the car begins to control Frank’s behaviour. I don’t know that anything inspired the story. It just seemed to jump onto the page and I very much enjoyed the process of writing it. I’m always fascinated when that happens. Tina: My story is The Soul Stealer, about a doll who borrows souls. I used to work in the funeral business, and whilst I’m not religious, I do believe that our soul – the essence of what makes us, us – leaves the body and goes somewhere after death. It was thinking about that a while ago that gave me an idea for the story. You can follow Lynda Renham’s blog here . Follow Lizzie Lamb’s blog here. 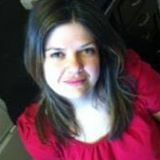 Follow Tina K Burton’s blog here. Follow Debbie Flint here. Join in the fun on Facebook on October 31st and prepare to be spooked! The way we read has changed a great deal over the years and unsurprisingly, the way we choose our books has had to evolve to keep up with the constant changes in the publishing industry. When my daughters were tiny I would escape from the house as soon as my husband walked through the door. I’d walk down to the local shops and into Borders where I’d spend at least an hour perusing the shelves and more often than not I’d come away with a couple of purchases. I was always drawn to a bright cover, sometimes the author’s name in big bold letters, or perhaps reading a blurb enticed me to buy. I would stop in the coffee shop next door and enjoy my new read over a hot chocolate, completely lost in my ‘me’ time. Like many other people, I am devastated every time a bookshop closes. They are special places that warm me the second I walk in with their endless possibilities for a good story. The ‘Books Are My Bag’ campaign operates across the UK and Ireland and is the biggest promotion of bookshops since its launch in 2013. According to the ‘Books Are My Bag’ website, 56% of all book buying decisions are still made by consumers in a bookshop, which is great to hear! But what happens if I can’t choose my books by browsing at the local bookshop? I often base my next book purchase on previous experience. I’ll go back to the same author time and time again if I like their voice and the stories they tell and I get really excited when their next book is released. I personally don’t use reviews or ratings to choose a book but it works for some people. If there is great media hype surrounding a new book or I see it advertised often enough, I can be enticed to read it out of curiosity…perhaps to see if I agree with the comments that are being made about it. I am also influenced by my peers. Thanks to the Write Romantics and the contacts that we all bring to the group, I’ve been reading more widely and loving every minute of it. I’ve discovered new authors and voices that keep me constantly entertained. Then there is what I like to call ‘accidental book selection’. This can happen via friends’ recommendations: JoJo Moyes’ ‘Me Before You’ was being passed around at the gym one day and I grabbed it. ‘Accidental book selection’ can happen when you least expect, too, perhaps enticing you into a new genre: at the RNA conference 2014 up in Shropshire I had the pleasure of sitting next to Hazel Gaynor and she was so lovely and friendly, answering many of my writing questions. Historical novels have never been my thing but I bought her book ‘The Girl Who Came Home’ anyway and I was hooked…it kept me engrossed during the flight between the UK and Australia 🙂 It can be uncomfortable to step outside your usual genre, but there’s also so many unique books out there that sometimes, as with Hazel’s book, it can be a lovely surprise. Saving Grace by Jane Green – Jane Green is one of my all-time favourite authors so I jumped at the chance to buy her latest book when I saw it in Dymocks bookshop in Sydney. Amy & Zach by Sarah Louise Smith – The eye-catching cover combined with the blurb on the Crooked Cat website. Big Lies, Little Lies by Liane Moriarty – I read a newspaper article about Lianne Moriarty, who lives in Sydney. I’d also read her previous novel The Husband’s Secret and loved it. I’d love to hear how others choose their books…do covers matter, or the publisher perhaps? Do you rely on friends’ opinion, reviews or ratings? 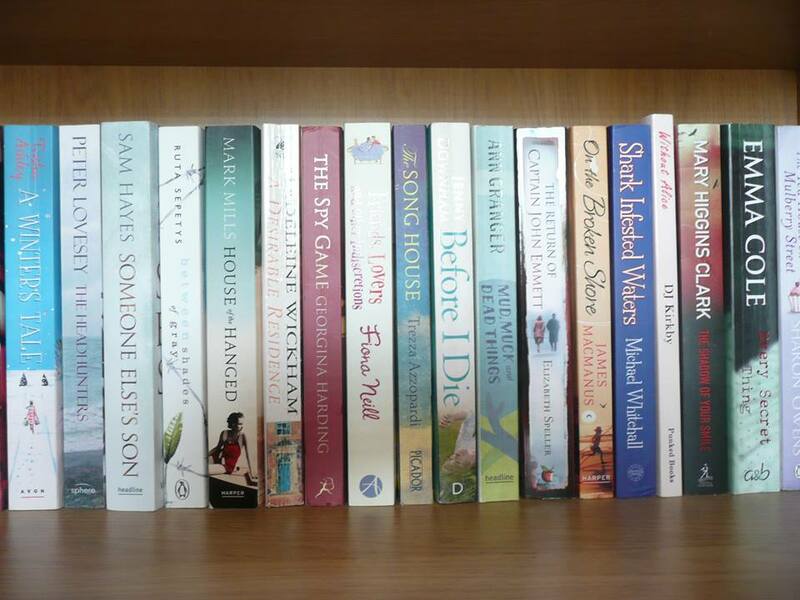 Or do you look at book blogs or prize winners to make your choice? 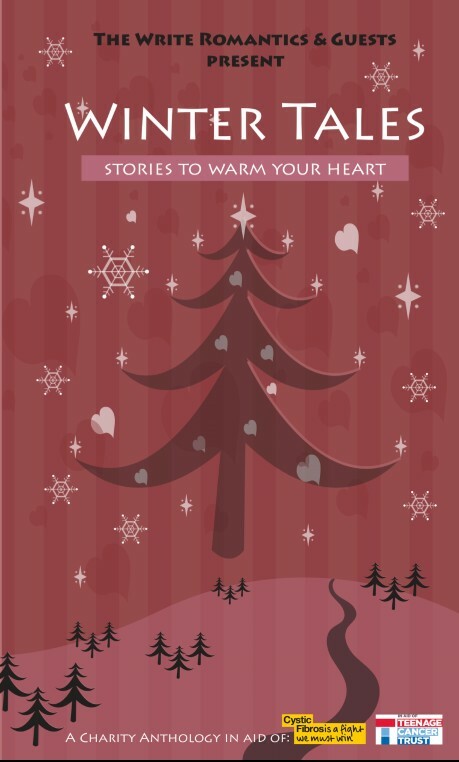 Winter Tales – stories to warm your heart – will be available from Amazon in both e-book and paperback form from 8th November and will be released for pre-order by the end of October. All funds raised will be split equally between the two charities and we will be holding a launch party on our community Facebook page between 1pm and 3pm on the 8th. Sharon Booth, our chief party planner, will be sending out invitations soon and we’ll have a host of competitions and giveaways, so we hope to *see* lots of you there! We’ll be back soon to post the links to the pre-order facility for ‘Winter Tales’ and if you’d like to review the anthology or assist in any way to help us maximise our fundraising, we’d love to hear from you at thewriteromantics@hotmail.co.uk. Mega Monday Announcement – Back To Being Me! Regular readers of this blog might be confused by my changing persona. When the Write Romantics started blogging – we were just Julie and Jo (I’m here, on the left). We’ve risen to the power of ten over the last year and a half and there have been some changes of identity, as pen names were adopted over time. When I got my book deal with So Vain Books for ‘Among A Thousand Stars’, I decided for personal reasons to change my name to Jay, but over the past few weeks it’s become evident that I wasn’t going to be the only Jay Barlett, author, out there… The other Jay Bartlett, and I’m sure he’s a lovely guy, is an expert in exorcism deliverance and he’s got books out on a range of subjects from Expelling Evil Spirits to Exploring The Supernatural – it’s not something I wanted to compete with! So I’m reverting back to my real name and luckily So Vain Books were happy to support my decision. This week’s big announcement is that both Jessica Redland and I are now featured authors on their website (www.sovainbooks.co.uk) and we’ll be revealing our fabulous covers very soon. We’re delighted to be sharing a publishing house with some fantastic non-fiction authors. Anyone who’s a fan of The X Factor must remember Kitty Brucknell and her performances that would give Lady Gaga a run for her money. Kitty has teamed up with celebrity stylist and fashion editor, Lewis-Duncan Weedon, and TV presenter, Olivia Cox, to produce ‘Are You On The List?’ – A guide to looking good and feeling great. I don’t know about Jessica, but with such glamourous company at our publishing house, it’s definitely on my Christmas list. 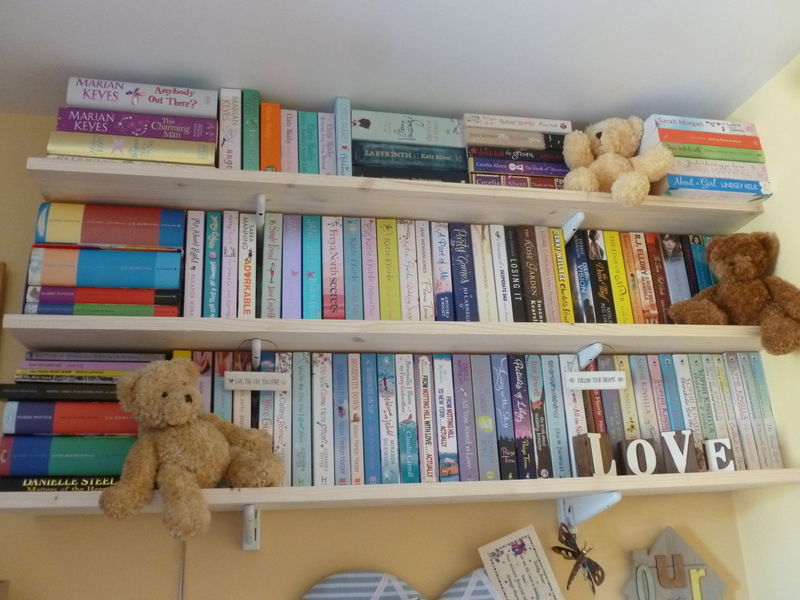 Our guest on the blog today is Karen, from ‘My Reading Corner’. Karen loved reading from a very young age and over the years this passion has grown, now her idea of bliss is to curl up in a comfy chair with a good book. Karen runs her book review blog alongside working full-time as a legal secretary and uses some of the commute from Essex to London to read up-to two books a week. 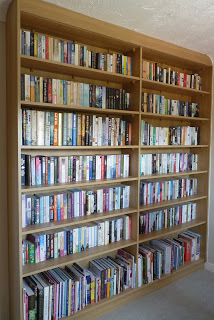 In the picture below you can see Karen’s heaving ‘bookwall’, which she keeps in her spare room, but she admits she has overflowing bookcases elsewhere in the house too! So we’re really glad that Karen has been able to find some time to be our guest today and here she tells us all why books and blogging about them are so important to her. Why is that you love reading so much? I’ve always loved reading, and can remember from a very early age reading the Ladybird books and then progressing to Enid Blyton and then as a teenager turning to Agatha Christie. Other favourite authors of the time were Jeffrey Archer, Rosamund Pilcher and Maeve Binchy. I love to escape into a book and to use my imagination which is why the film adaptations of books rarely work for me as it spoils the image I have in my head. Apart from the occasional biography, I rarely read non-fiction. What made you decide to turn that passion into a regular book-review blog? I’ve been adding short reviews to various online book sites for a number of years and although sites like Goodreads are very useful for keeping track of books that I own, the cover pictures change (I like to have a record of the correct book cover too) and there’s no control over the site content. I decided to start my own book blog so that I could keep my reviews in one place and keep my own note of which edition I had read. I also wanted to share books that I had enjoyed and if my review helps someone to choose their next read, then that’s wonderful. It’s always a pleasure to be asked to review a book by a new author and finding a little gem that otherwise might have passed me by – and to be able to tell others about it. Some of my most enjoyable reads this year have been found this way and there are some indie authors that are now on my favourites list. Another is being given the opportunity to read books before they are published. I feel privileged that publishers allow me to access ARCs of their ebooks from sites such as Netgalley and of course it’s always exciting to receive paper books in the post – whenever I receive a book shaped package, I feel like a kid at Christmas! One of the worst things is feeling under pressure to read and review quickly. I have a huge library of my own of both paper and Kindle books which I am longing to read but struggle to get to because much of my free time is spent trying to keep up with review books. I need to find that balance of being able to read both my own and review books. I don’t have a favourite genre. My first love was crime fiction but over the years my tastes have widened. I enjoy reading women’s contemporary fiction just as much as crime and suspense. I also enjoy reading YA books and some historical fiction, especially dual time novels. The one genre that I am really picky about is ‘chick-lit’ and I tend to stick to the same trusted authors or authors that have been recommended by book friends. Has there been a book that you’ve been put off reading, perhaps by the cover or blurb, and then have finally read and really loved? No, although there have been many books which I haven’t enjoyed despite the hype surrounding them. One that immediately comes to mind is The Time Travellers Wife. So many people loved this but I disliked it so much I couldn’t finish it. I have to be comfortable. I have a reclining armchair in the corner of my lounge (this is why my blog was named ‘My Reading Corner’) which is my favourite place to read, although sitting on the bed propped up with pillows comes a close second! Have you ever considered being a writer? Only in my dreams! The reality is that I know my limitations and I would not be good enough. I greatly admire people who can turn their hand to writing but it’s not something that I would consider doing. Mainly on Twitter and Facebook. A few months ago I set up a Facebook page for my blog where I post reviews, share competitions and all things bookish. https://www.facebook.com/myreadingcornerblog. How many requests for reviews do you get in typical week/month and what’s your criteria for deciding which to review? It varies, some weeks I can get several – both from authors and publishers. I suppose on average I get about 2 – 3 requests a week. I always look at the book description to see whether it’s something I would enjoy reading and if it appeals then I say yes. Otherwise I politely decline. It also depends on how I’m asked. If a request is polite and unassuming then I am more inclined to say yes. If I receive an obviously ‘copied & paste’ email request with the book attached on the presumption that I will want to read it then that is an immediate turn-off. My blog has a review policy listing the genres that I read and it is often quite clear that many authors/promoters haven’t even bothered to read it before requesting a review. Do you give bad reviews or only review books you’ve liked? I will only review on my blog books that achieve a minimum rating of 3 out of 5 stars – if I really don’t like a book then I won’t include it on the blog. I want my reviews to be an honest opinion but I don’t want to be unkind. It’s extremely rare for me to rate a book as 1* (- it has to be REALLY poor) however very occasionally a book achieves a review rating of 2* and this would only appear on sites such as Amazon and Goodreads. I don’t review every single book I read – if I’m reading one of my own books then sometimes it’s nice to just read for pleasure and not feel obliged to always post a review. Have you got a top three of your all-time favourite books? My favourite books change all the time. There are however two that have remained firm favourites over the years – To Kill a Mockingbird and Rebecca. What sort of interaction do you have with fellow reviewers, authors and readers? I think Twitter is wonderful for interaction with fellow book lovers and authors – what did we do without it! I love to see authors interacting with readers and it’s still a thrill when an author retweets one of my reviews or replies to a tweet. The downside of sites like Twitter and reading other book blogs is seeing all the new book recommendations which add to my ever increasing wishlist and ‘To be Read’ pile. Just to say thank you for inviting me onto your blog. Having sent out my own questions for authors to answer, I can now see that it’s quite different being on the other side!